Caernarfon: Accommodation, Attractions, Activities, Going Out, Shopping, Things to Do, Places of Interest, Outdoors, Caernarfon Holidays, Caernarfon Area Location, North Wales. The wonderful county town of Gwynedd dates back to Roman times and is home to the Caernarfon Castle built 8 centuries ago. Nowadays the town hosts a weekly open air market, boasts boating facilities, is excellent place for shopping, restaurants and pubs. There is a golf course on the outskirts of town. Caernarfon is a bustling market town with a wide selection of shops, good eating places and attractive accommodation. It is also a wonderful location for exploring the rugged wilderness of the Snowdonia National Park. Caernarfon Online Gwynedd, North Wales,UK. Holidays, Accommodation, News etc. Caernarfon Castle One of the most impressive of all of the castles in Wales. Heritage Attractions in North Wales. Caernarfon: Places to Visit, Where to Stay,Hotels, Guest Houses, Self Catering, Camps and Caravans, Bed & Breakfast. Plas Dinas: Gwynedd, Bangor, Caernarfon, Snowdonia, North Wales If you are looking for a North Wales hotel that specialises in murder mystery in Caernarfon, Snowdonia, North Wales then come to the Plas Dinas. 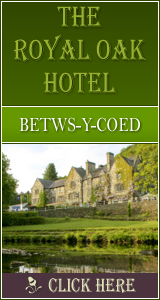 Caer Menai Bed and Breakfast Caernarfon Accommodation in Caernarfon.